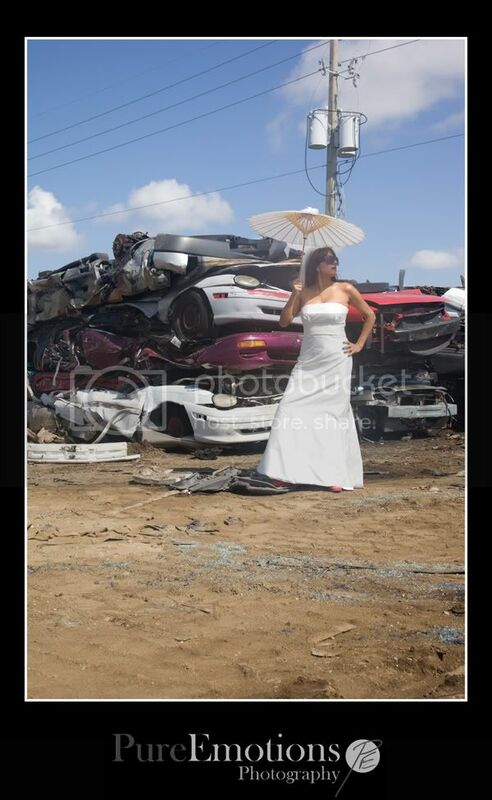 We went to this awesome car junkyard to trash Alina's wedding dress. We went through so much to get this place to allow us to shoot there but we were so happy when the day finally came. Alina was such a trooper. It was a very hot, muggy day and we had to do the shoot mid-day because that's the only time we could get in for the shoot. I never anticipated that all of the sand would cause such a hazy mist in the air. It made it so difficult to focus properly and made the images lack the pop that my photos normally have straight out of camera. But we used some off camera lighting to help fight through the sand mist a bit and then I really jazzed them up in photoshop. We had such a great time shooting Alina. 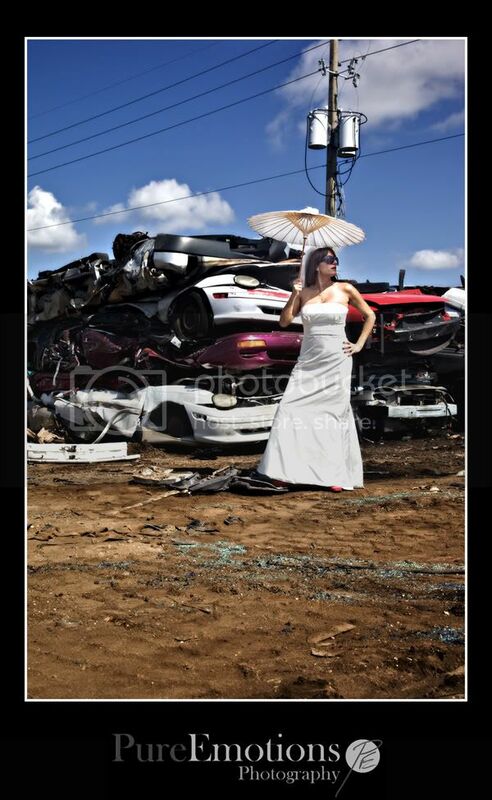 More of her fabulous Trash the Dress photos coming soon!! Fighting the sand in the air was difficult but luckily, I knew I'd be able to fix it in photoshop. There was nothing more I could have done on set. I just love the way they turned out though and how needing to fix the hazy air pushed me that much harder to make these images pop! More coming soon.. hope you enjoyed the sneak peek! 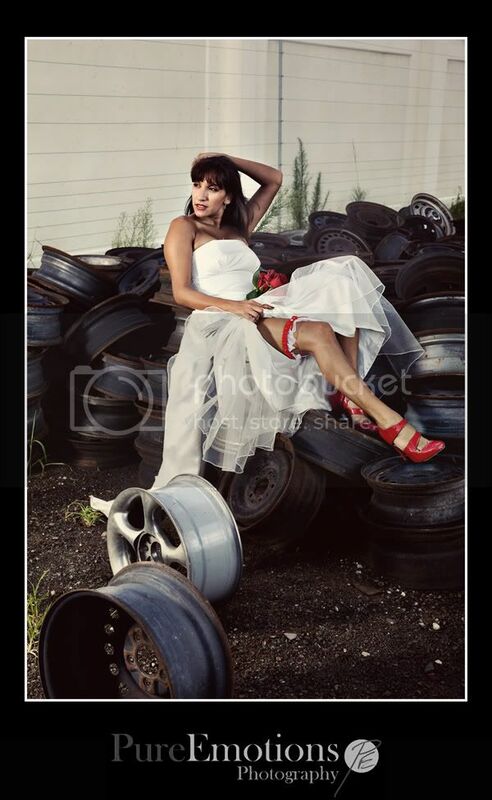 What a cool location (and a trooper of a bride!)! Nice work on the editing--they look clean. with that said, these are awesome, especially the 2nd shot! rock on! very nice work on cleaning up the images! can't even tell in the after images of what you were dealing with on location! Alicia! These are great! Totally not anything I would have thought of! It's awesome that you were able to get the sand out of the air! I am sure I would have been nervous about that while I was shooting! You did a great job of getting rid of the dust! Such a cool location! And awesome that you had a client who wanted to get out and do that :) Really nice job! Wow... great location & very creative! Wow, your editing is wonderful! 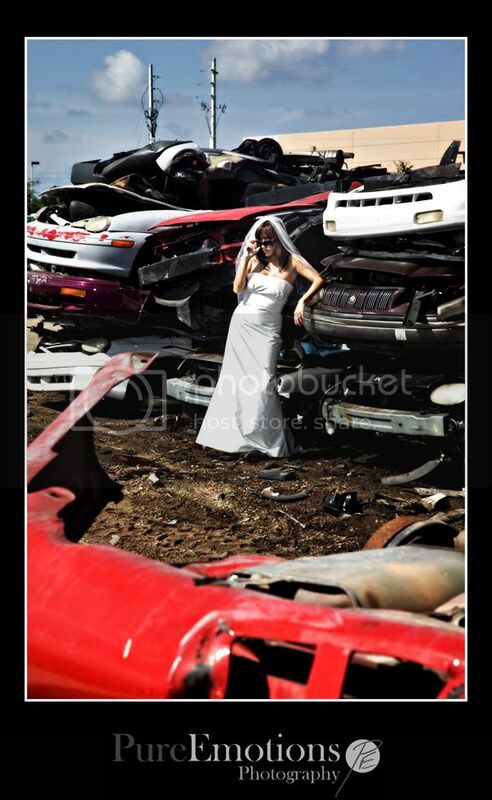 I LOVE the junkyard theme..